This must be a Great Graphic. Both Zero Hedge and Walter Russell Mead posted it. It is from the Food and Agriculture Organization (FAO) of the United Nations. 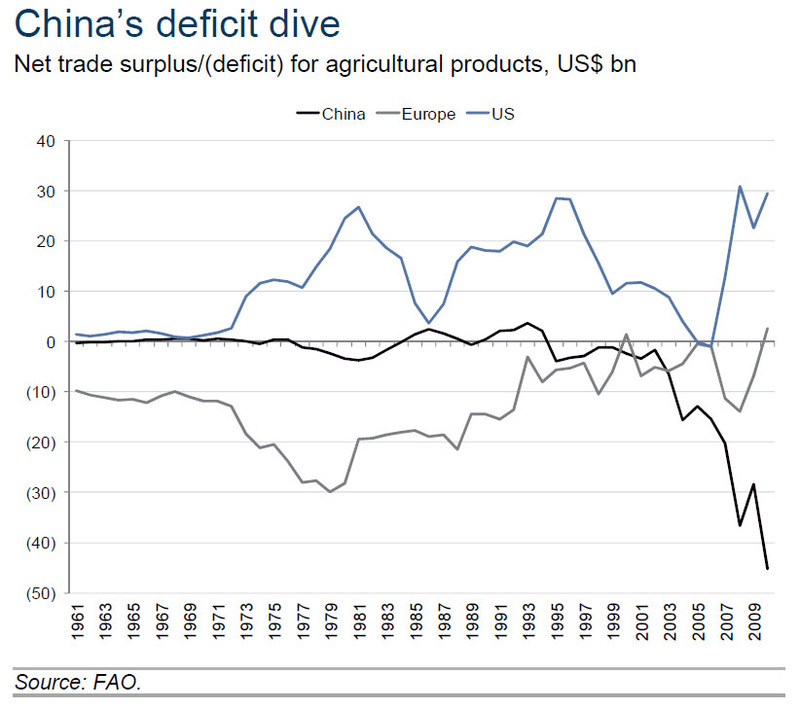 It shows the significant deterioration of China's food self-sufficiency and the improved US agricultural surplus. Europe is roughly in balance after previously being an importer. 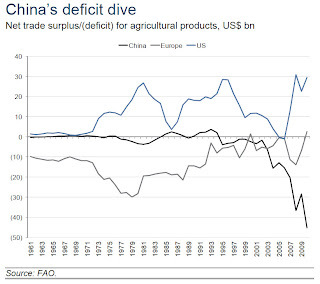 Given the intensive use of water to produce foodstuffs and fibers (roughly 1000 to 1), China's widening agriculture deficit reflects water shortage. China is home to about 20% of the world's population, but has less than 10% of the world's supply of fresh water. There are numerous implications for development, power politics and, Zero Hedge suggests, the role of the dollar. This discussion comes on the heels of the IEA's recent estimate that the US can be the world's largest producer of oil by 2020 and essentially energy self-sufficient by 2030.